This time last year decorating for spring was the farthest thing from my mind. We were busy packing up our house and getting ready for our big move from Illinois to North Carolina so I wasn’t able to do any spring decorating. This year though, we are more settled. We’re enjoying life in our little stone cottage and I’m excited to get the house decorated for our first spring. I’ve already busted out some of my spring pillows and I have been enjoying the pretty spring blooms I’ve gotten from the store, but my front door was looking sad. 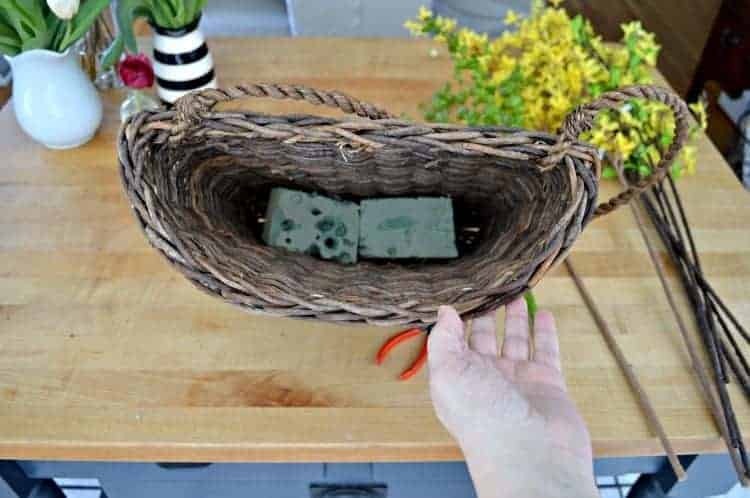 I took the basket I had filled with greens off the door after Christmas thinking that I’d hang something else up, but that never happened. I thought about hanging the wreath I made a few years ago, but couldn’t find it in the moving mess in the basement, so I pulled out the basket again. This time around it would be the spring front door basket of my dreams. I just wanted something that looked spring-y and was easy to do. Usually, I keep it simple when I do something like this and I stuck with that same idea this time. On a quick trip to Hobby Lobby, I picked up a few spring stems and I was ready to create. I try to pick out realistic looking stems, or as close to realistic as possible, without spending a fortune. I liked the middle group the best (the 2 with the light brown stems) but they were pricey so I only got 2 and went with a cheaper bunch to mix in. In all, with the 50% off, I spent under $20 for all of the stems and I can use them again for something else. Since it was already in there, I made use of the floral foam in the bottom of the basket. 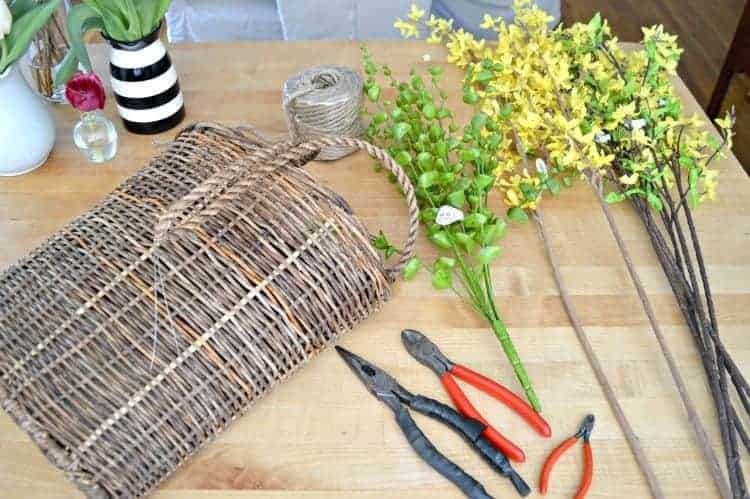 I could easily do this without it so if you don’t want to buy it, or don’t have any, you can still successfully build your spring basket. No pictures of the next part because my method is a trade secret. Once all of the stems were in, I just moved them around until I liked the way they looked. Seriously, that’s it. With my flowers in place, I wanted some kind of bow on the basket. My first thought was to use burlap, but I couldn’t find it (remember the mess in the basement I talked about earlier?) so I went with what I could find…jute rope. Not my first choice but it’s rustic and quirky and a little different, just like me. I made a couple of loops around the basket, 2 bows (because 2 are better than 1) and my basket is done. This basket is pretty big so we can only hang it on the screen door. It will be protected under the cover porch so it won’t get hit with any weather. I love how my spring front door basket looks and it really brightens up my front porch. Now I feel like I’m ready for spring, if only our weather would cooperate. Have you pulled any of your spring stuff out yet? As always, thanks so much for stopping by. Hope you have a great week! 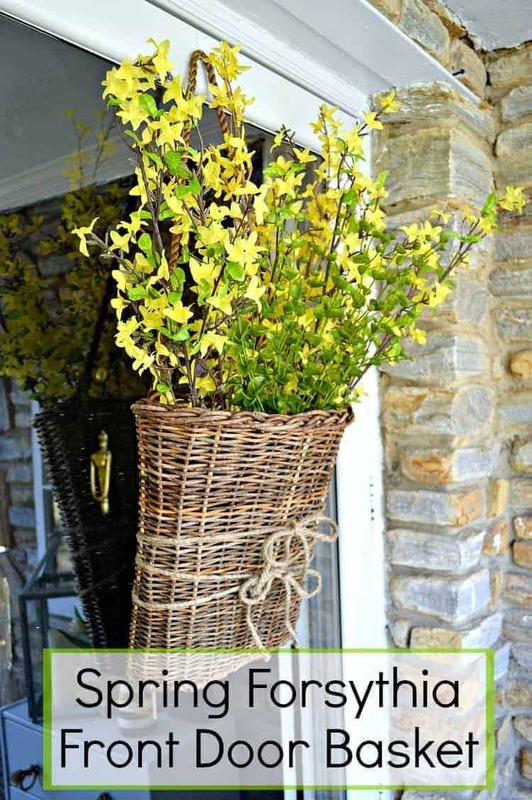 Love your spring front door decoration. Thanks for sharing at the Inspiration Spotlight party. Pinned & shared. Thanks so much Theresa. I appreciate the pin and share. That basket is adorable! The rustic look contrasts beautifully with the yellow of the flowers. I also love that you could keep changing out the flowers seasonally. Thanks for sharing your fun and easy tutorial with us at Merry Monday this week! Beautiful! I love wicker baskets. I’m with everyone else, love the dresser nearby too. My front door is currently empty, and needs some love. I think I will go look for a wicker basket now. Your’s looks so cheerful. I just discovered you on a linky party. So now I must look at your other posts! 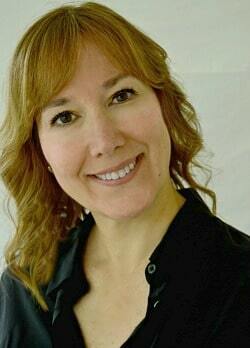 Hi Renee. Welcome to Chatfield Court. I really love having the dresser outside. Our house is small, with limited storage, and the dresser helps keep outside things outside and within easy reach. It’s a little large but I love it’s versatility. I can change the greenery on a whim and completely give it a new look. Lovely! It’s a perfect way to welcome your guests during the spring. Thanks for sharing at Snickerdoodle. Pinning. Thanks so much Beverly, I appreciate it. It’s so nice to see something sunny and bright after our long winter. 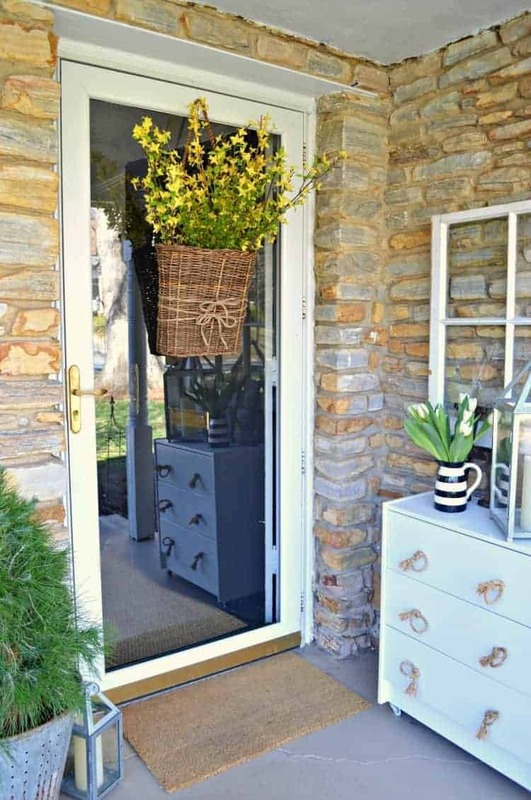 Great idea to transition front door items into another season just by changing out greenery. Looks great and easy enough for me to handle. Thanks for sharing. 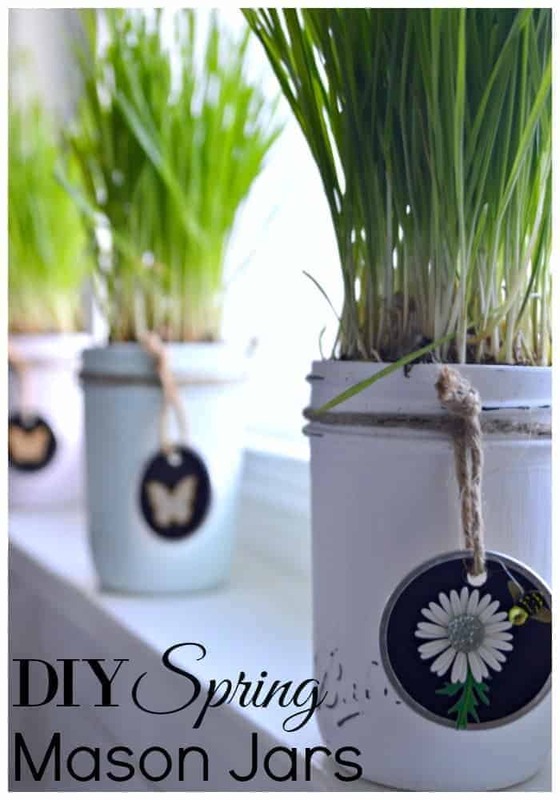 Lots of beautiful spring ideas, thank you ! I love the front door and entrance way, so cheerful to come home to! 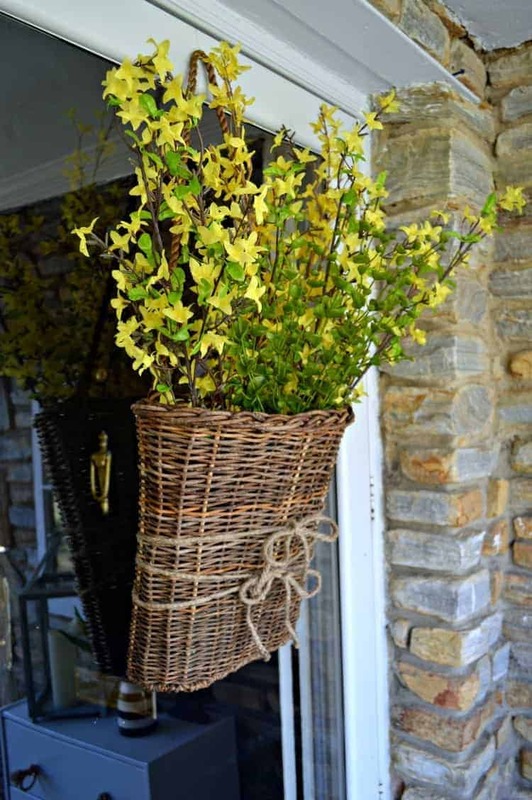 Ah forsythias…a true sign of spring! Gorgeous! Love the look! I’m curious to know if you keep anything inside your dresser? I’ve not seen a dresser outside the front door, and I love the look! Awesome ideas, Kristi!! I’m inspired! Thank you & Happy Spring! I love the rustic look of your basket! And I love that you have links on where to purchase it & your other supplies. I’ve been watching to see what everyone is hanging on their front doors. Is it something Easter(y) or something Spring(y). It’s funny because we are going to be hit with a 2 day snowstorm, so I think I will wait til the snow melts & the temperatures go back to normal & put up what you have. Thanks Karen! I like to see what everyone is hanging on their doors too. So nice and I love it. Thanks so much, Ivory, I appreciate it. We are having winter again this week. But, I did get my Spring décor out and hung my heart shaped twig wreath on the front door. Plus I painted the front door on one of our nicer days. It is BM Wyeth Blue. It lifts my spirits every time I look at it! After this week, I am hoping that Spring will stick around and old man winter will be long gone! Ready for warm, sunny days! Love your Spring basket! Thanks Sue. Sounds like you are ready for spring. I bet your door looks beautiful. It’s one of my favorite colors so I can understand why it makes you happy. Thanks so much for stopping in Sue, and I hope you have a great week (despite the weather). Your wreath is so happy and bright. Sorry your weather has gone winter again. Yesterday ours went from summer during the day, I was about ready to turn on the AC, to a nice cool Spring by evening. The Bikers are loving the cool weather. Hope Spring visits you soon. Thanks Debbie. I love how it turned out. Sounds like your weather is a bit crazy too, albeit warmer. I remember when we lived in Florida and the warm days of spring came (along with all the bikers). We lived in a town with several biker bars and it was always crazy. Hope it’s good week for you. That looks so beautiful, I have a similar basket (I’ll have to add some jute for hanging). I think I will make and hang a nice Spring wreath like your did, perhaps this will give Mother Nature a clue, this Blizzard tomorrow is NOT a nice idea this late in the season!!! Thanks Kaycee. I like that it was easy and it brightens up the porch. We definitely need it with this weather. It’s been crazy! Your basket looks so pretty. I haven’t put anything on my front door yet so you’ve given me some inspiration. I too have a storm/screen door where it must go on the outside of the glass and I use the two piece magnet hooks for wreaths – one on each side of the glass – and it’s made my life so much easier when it comes to putting up a wreath or anything else that requires a hook. 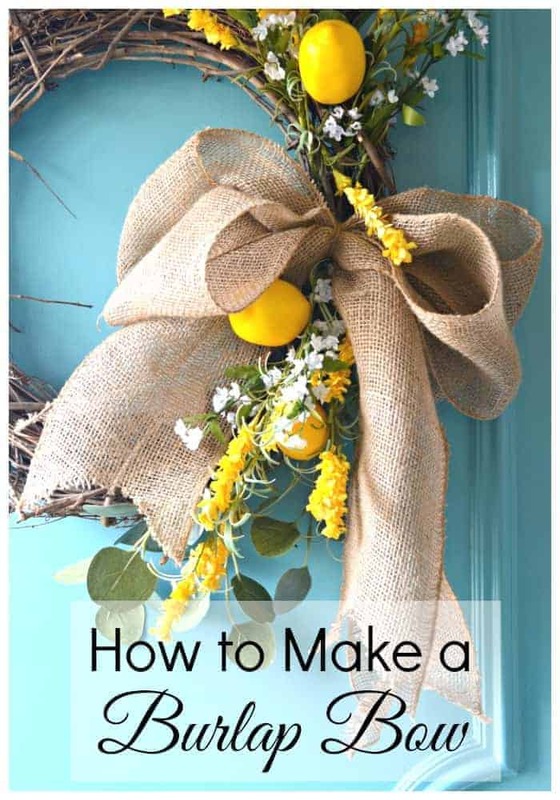 Where were things like that years ago when I was either struggling to find a way to hang a wreath on the storm door or I was buying skinny wreaths that would fit between the two doors when closed? And why wasn’t I the one who invented it and made a ton of money? Oh well. Anyway. 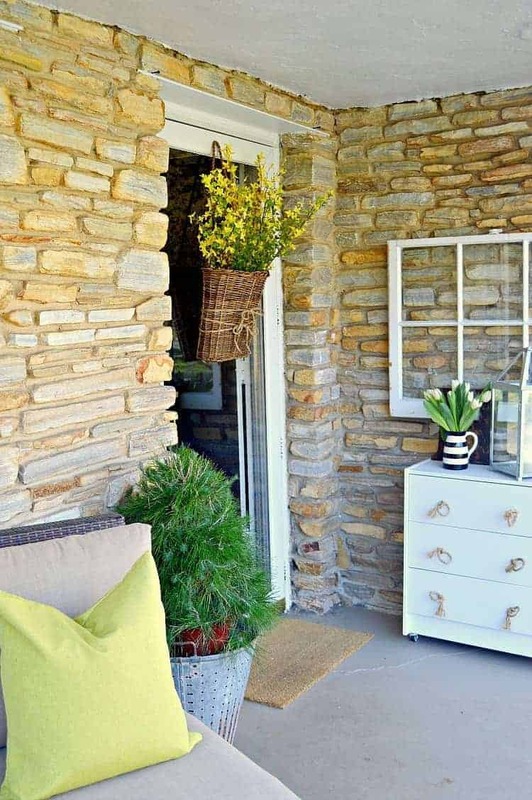 Your door is a great addition to your pretty front porch. Thanks so much Pat! Smart idea using the magnetic hooks to hang your wreaths. I know it can be an issue. Thanks for sharing. So pretty! I have a metal container the shape of your basket and I plan to fill it with stems and place it on my door.